Maria Foronda fostered partnerships between community groups, fishmeal producers and the government to institute environmentally sound and profitable business practices in lieu of dumping untreated industrial waste into streams and out of smokestacks. Maria Elena Foronda Farro, a sociologist and co-founder of the NGO Natura in Chimbote, was born in Lima, Peru. Foronda grew up in Chimbote, an impoverished industrial fishing port north of the capital. Foronda led campaigns to clean up Peru’s fishmeal industry, which dumps untreated industrial waste into streams and out of smokestacks, causing cholera outbreaks, fungal skin diseases and the worst pollution problems in Peru’s coastal cities. Foronda successfully forged partnerships between community groups, fishmeal producers and the government to institute sustainable, environmentally sound and profitable business practices for fishmeal production. Foronda’s father was a union lawyer and had a strong influence in her decision to dedicate her life to social justice. After completing her master’s degree in Mexico, she moved back to Chimbote to do volunteer social work, which she felt would be an effective way to help solve some of the problems facing her community. After the extent and impact of fishmeal pollution became clear to her, Foronda dedicated herself to addressing the ubiquitous environmental and health problems caused by the fishmeal industry. Peru is the world’s biggest fishmeal producer. Fishmeal, which is used to make animal feed, fertilizers and preservatives, is produced in large, industrial factories along the coast. Seventy percent of these factories are located in residential neighborhoods, and most of them use obsolete technology that discharges effluents containing fish remains, blood, oils and soluble proteins directly into domestic drains. This mixing of industrial and domestic waste causes major health problems for Chimbote’s population of 350,000, particularly for children and the elderly. The factories also belch irritating airborne particles, foul smells and soot into the air. Severe allergies, fungal skin diseases, respiratory diseases and even Peru’s Cholera Epidemic of 1991-1993 have been linked to the unsanitary conditions emanating from this pollution. Obstructed pipes regularly cause back-ups into the streets where Chimbote’s children wade into these rushing streams of wastes and toxics in search of fish remains to sell in town. In 2003, life expectancy in the city was a decade lower than the national average. 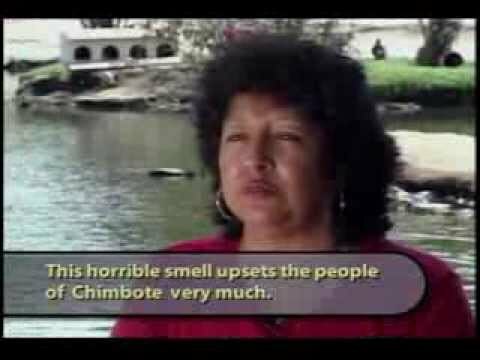 Chimbote is one of the most contaminated city in Peru. In addition to the pollution produced by the fishmeal factories, the industry is severely degrading the regions’ marine environment. Destructive fishing practices such as bottom-net dragging are used to catch the tons of fish used in fishmeal production, and heated water used in the production process is returned to the sea at near-boiling temperatures, creating dead zones along Peru’s coast. Despite enormous resistance from the fishmeal industry, Foronda successfully reduced pollution and improved the health standards in Chimbote and other Peruvian coastal cities. She founded and directs Natura, a leading environmental group in Peru, and she formed partnerships with progressive fishmeal companies, convincing them to operate in a more environmentally responsible manner. Foronda demonstrated to elected officials and to some of the fishmeal companies that they can save money and reap long-term economic benefits by reducing their toxic waste and protecting the local community. Foronda has a remarkable ability to build alliances among government officials, industry representatives, environmentalists and townspeople to address the environmental and health problems caused by the fishmeal industry. Working with city officials, Foronda completed a Sustainable Local Development Plan, which outlines ways to improve the environmental standards of local companies. As a result of her work, eight factories in Chimbote and beyond invested in environmentally friendly technologies. 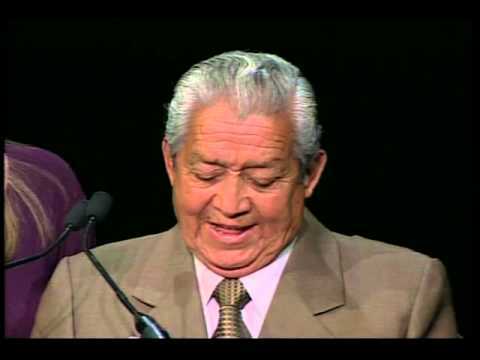 Because of her outspoken activism, Foronda and her husband Oscar Solomon Diaz Barboza were falsely accused of belonging to the terrorist organization Shining Path and sentenced to twenty years in prison in 1994. While in prison, Foronda sharpened her strategies to combat contamination in Chimbote and gained international recognition and support for her work. Only persistent local and international pressure led to their early release after serving thirteen months in prison. At the time of Foronda’s arrest, the mayor of Chimbote had close ties to the powerful fishmeal industry, and many believe that her incarceration was due to her activism. However, Foronda was not deterred by her time in prison and chose not to press charges for her false arrest after her release. Instead, Foronda jumped back into her work with Natura, capitalizing on the contacts and broad support she earned while in prison. Natura continues to educate the local population on their constitutional rights to environmental protections. Foronda empowers citizens, many of whom have formed local “Citizen Environmental Vigilance Committees” to investigate, monitor and negotiate with fishmeal companies to ensure they implement environmental and health safeguards.